Rana Abdul Rauf son of Rana Khurshid Muhammad was born on March 11, 1953. 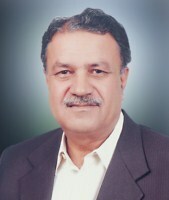 An agriculturist, who served as Nazim, Union Council No.3, Jinnah Colony, Bahawalnagar during 2001-08 for two consecutive terms. He was Member, Provincial Assembly of the Punjab during 2008-13 and served as Chairman, Standing Committee on Zakat & Ushr. He has returned to Punjab Assembly for the second consecutive term in general elections 2013 and is functioning as Chairman, Standing Committee on Housing, Urban Development & Public Health Engineering.